What is a Public Adjuster Solicitor Bond in Missouri? A Public Adjuster Solicitor Bond is a type of license bond. The purpose of the bond is to protect the state or governmental entity for certain things, such as the payment of taxes. How Much does a Public Adjuster Solicitor Bond Cost in Missouri? How do I get a Public Adjuster Solicitor Bond? We make it easy to get a Public Adjuster Solicitor Bond in Missouri. Fill out the form above and we’ll get right on this for you. Then we’ll get the Public Adjuster Solicitor Bond right out to you. Easy. It is essential to have an approval from the government before beginning an expert or business operation. This approval indicates that your business is approved by the government to operate, and that your functions comply with the existing regulations and rules. You are then protecting your clientele by simply following the government’s regulations and rules. Therefore, to prove that you are running an honest, legal business, you’ll need a license. Before you get a license, nonetheless, you need a license and permit bond, which clarifies the laws and consequences. Consequently, the government can be sure that you’re following all the appropriate laws since your bond could be sued should you fail to comply. To help you understand further the necessity for surety bonds, this is a simple guide for you. We also include tips on how to get a permit bond. A license and permit surety bond may differ with regards to the type of business that you run. The difference is the function, and how the bond protects the client. 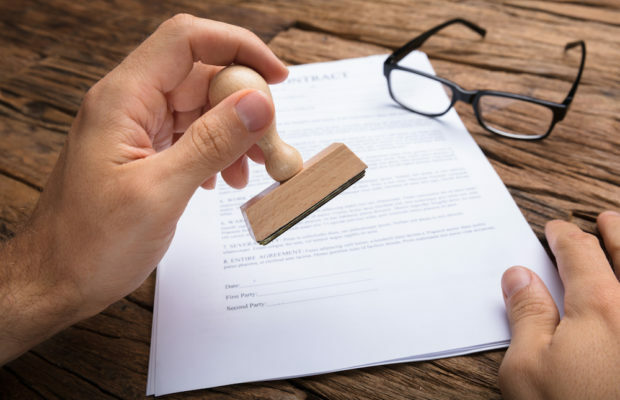 The primary purpose of license and permit bond is to help the consumers recover certain amount of cash in case the contractor does not manage to supply, and also to provide them the right to sue the failing contractor. In case the contractor fail, for instance, he or she will surely face legal action due to non-compliance in governmental rules and regulations and the mutual agreement into with the clientele. Consequently, you should consider not violating any laws for this may result in considerable loss for your company since you should satisfy the financial damages done by your actions. Take into account that governmental laws are always of high importance. Performance bonds are another common kind of surety bonds. Its main purpose is to help the customers have an insured project. Customers will hire your services expecting that you’ll supply quality. Keep in mind that part of providing quality services is being able to provide the required specifications of the project. In case of failure to comply, the consumer has the right to recover certain amount of the whole project cost through the help of the performance bond. This right and privilege is based on the argument that professional contractors have the skills, tools, and machineries to obtain the job done as prescribed, therefore there’s no reason for the contractor to violate rules. But, in some cases, contractors fail to supply. However, the customer will not suffer any loss. It’s really important to get permit and license bonds. The government demands the use of bonds as a protection to consumers who involved in professional services and construction companies. The use of bonds has many advantages, and the first one is the assurance of getting systematic processes. In order to make certain that their business processes is reliable, all business professionals are required to follow the set of rules given by the government. Failure to that, the consumer can sue the bond, which suggests that the government will take legal action and compensate the customer. The amount of insured portion of the project is indicated in the bond. In case the contractor fails, the consumer will be able to recover this given amount. Therefore, this one major advantage protects all the consumers from businesspersons who fail to supply as they promise. The government provide specifications on the regulations to be followed concerning infrastructure projects, and these must be adhered to totally. For example, the government can limit a construction of houses with more than two floors. The permit bonds can help you know the extent of the construction project that you may only provide to your customers. Obtaining a permit bond, nowadays, is very simple to do. Here’s a simple guidebook for you to follow when looking for a permit bond online. To be able to get a permit bond, you must find an authorized provider first so that you are guaranteed that it’s legit. When accessing online permit bonds application forms, you will need to make use of any device with strong Internet connection. Once you access and fill the entire form, you should submit it. Make sure to adhere to all the guidelines and suggestions while filling the form. If the fields are required to be filled, make sure to fill them out. After you have submitted the application, you will then get free quotation. With regards to the kind of bond you should acquire, the amount is stated in the quotation that you received. After making payments, you are going to get your bond. Understanding the details of license and permit bonds is vitally important. To help you further appreciate this matter, here is a brief discussion for you. When the government requires that you buy a bond worth a specific amount, it does not mean that you’ll pay the entire amount during the application of the bond. For example, when purchasing a bond worth a million dollars, you’ll only pay 1% of the entire rate. Second, the bond isn’t a license for your company. It is only a guarantee to the clients you serve that the projects they’re venturing into with your service or products are insured. The bonds, therefore, increase the trust of your clients’ that you are going to deliver the best probable result for the projects you engaged with them. It’s important to know all the regulations and rules of the government with regards to giving professional and construction services. Use the appropriate means to get what you will need for your company to thrive and obtain a license or permit. See our Missouri Right Of Way Performance Permit (Central District) Bond page here.